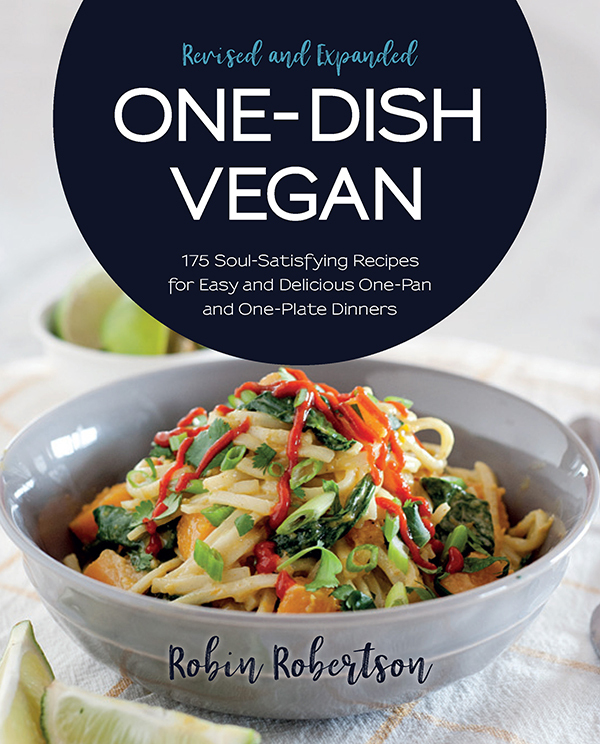 My new cookbook is called VEGANIZE IT! Easy DIY Recipes for a Plant-Based Kitchen. It officially hits the shelves on March 7, so I wanted to give you a sneak peek of what’s inside. 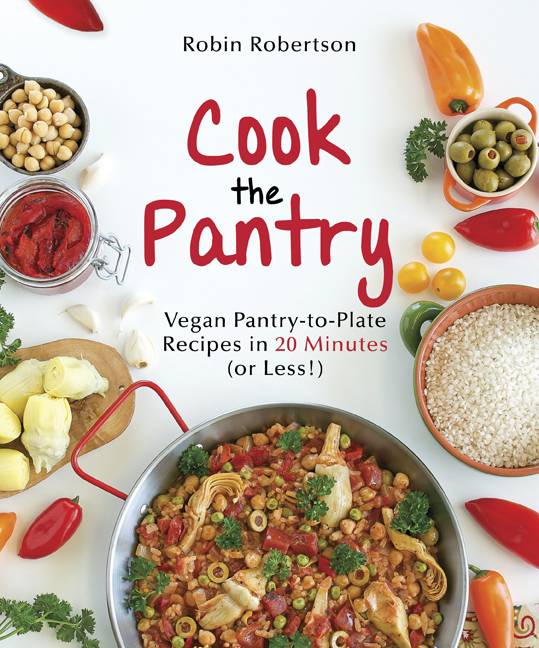 My goal in writing this book was to provide the ultimate guide for making homemade vegan foods from everyday ingredients — and share great ways to use those ingredients. 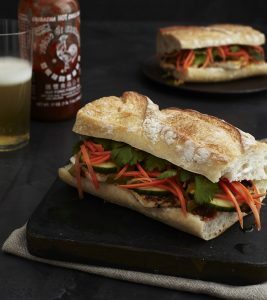 Like all my cookbooks, the recipes are geared to busy home cooks who want to get a great dinner on the table but don’t want to spend all day in the kitchen. 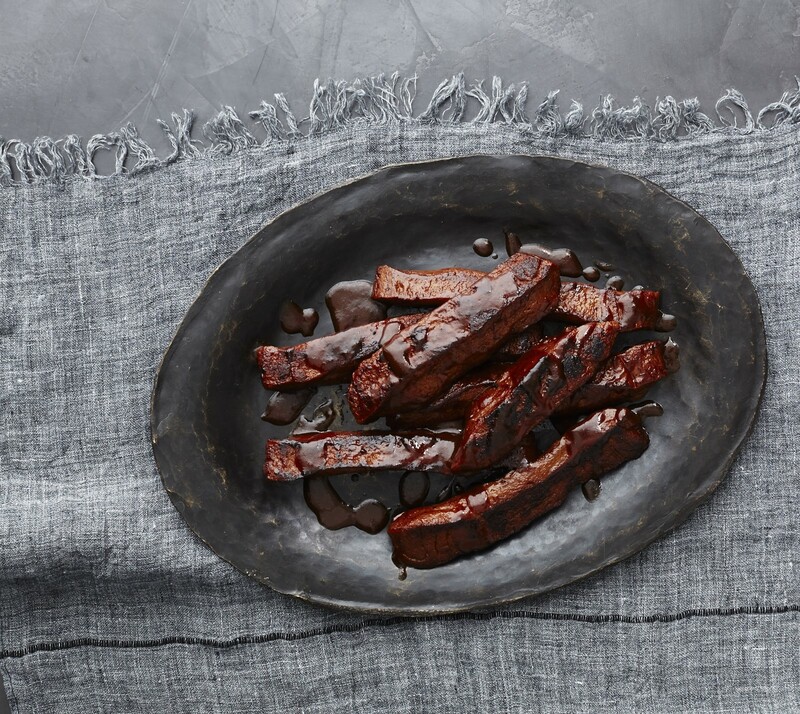 With VEGANIZE IT, you can be as DIY as you want to be, or not. For example, if you want to make lasagna completely from scratch, there are recipes for homemade ricotta, a melty mozzarella-like cheese, homemade pasta, and a wonderful baked tomato sauce. If you don’t have time to make all the components, you can simply pick and choose what you want to make from scratch and what you prefer to buy ready-made – such as making homemade ricotta and tomato sauce, but using storebought lasagna noodles and vegan mozzarella. 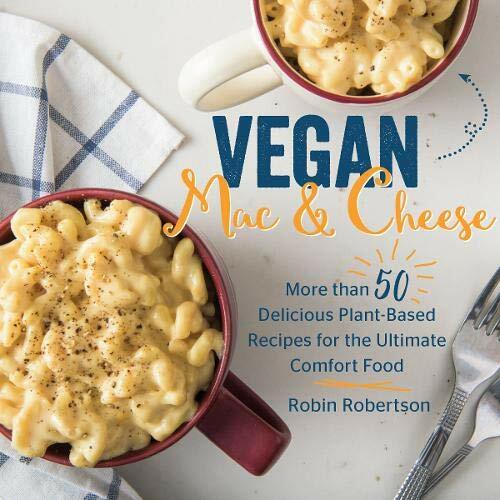 In that sense, VEGANIZE IT is really two cookbooks in one: all the DIY vegan basics such as dairy-free sour cream, mayonnaise, butter, and plant-based meats and seafood made from wheat, soy, beans, and vegetables. 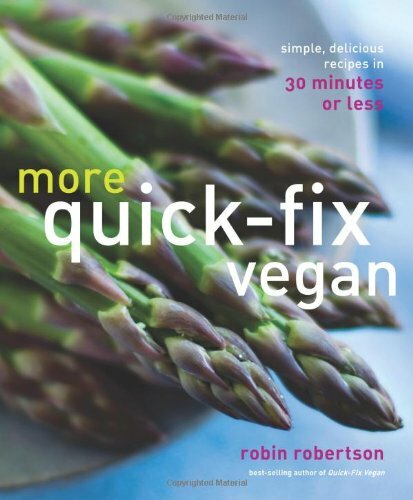 But what makes this book really special is that each chapter goes one step further to include recipes that incorporate one or more of those basic recipes, all made inexpensively, using simple cooking methods and easy-to-find ingredients — so, for example, you can use the cashew cream cheese to make Spinach-Artichoke Dip or Chocolate Cheesecake. Make the andouille sausage, and you’re just one step away from a great jambalaya. I’m really excited about VEGANIZE IT and I hope you will be too. 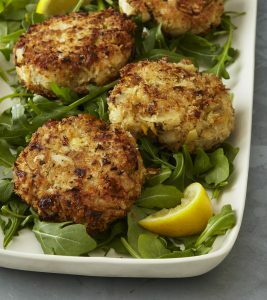 Sample recipes (and a blog tour!) are coming soon. 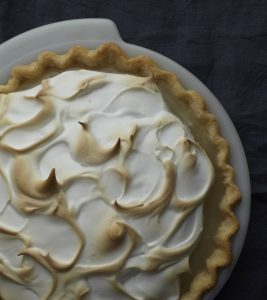 For now, though, I’d like to give you a brief tour around the recipe chapters with a list of just some of the recipes you’ll find inside along with a few of the gorgeous photos by William and Susan Brinson. 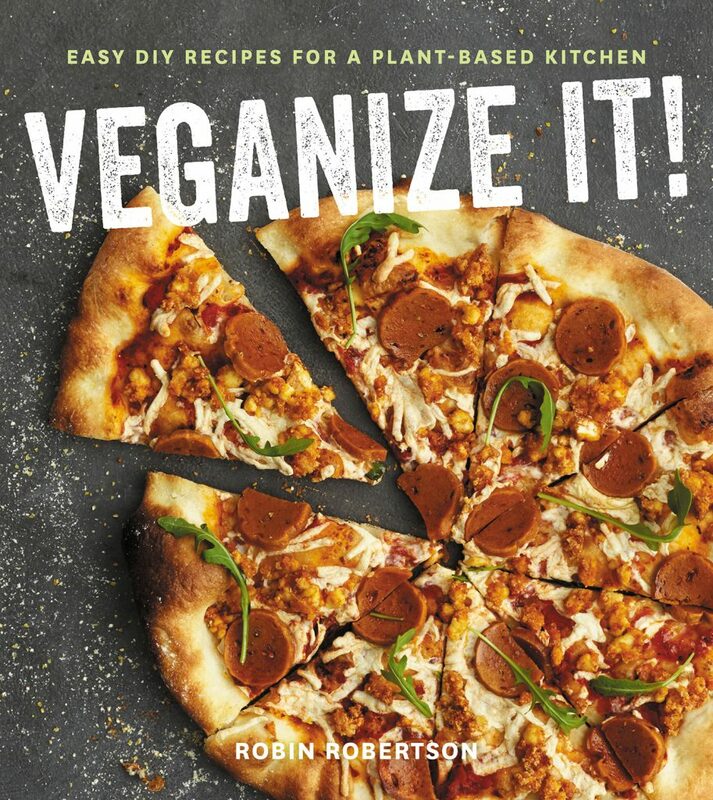 VEGANIZE IT is available for pre-order now…. Looks incredible! This is only *some* of the recipes in the book? I’m already salivating at the selection you’ve shared. How many recipes in this book? Can’t wait for this to get into my hands (I have it pre-ordered on Amazon). Thanks for pre-ordering, Jordan. 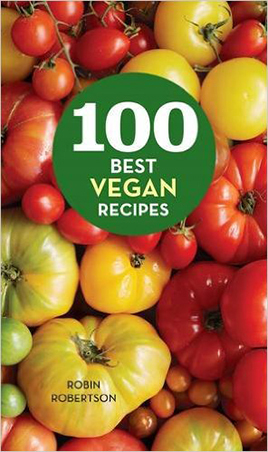 There are 150 recipes in Veganize It! Hi Robin. What ever happened to Better Made Vegan? I did recipe testing for you and this book and am interested in the status. Norine, I’ve been trying to contact you via email but it comes back as undeliverable. Please email me. The photos look great! Looking forward to hearing more about it during the blog tour. The seafood subs are most interesting to me. This is very exciting news! I am on a very strict cookbook budget at the moment, but I think this will be top of my list for when I can get a new one again. I have several of your cookbooks and LOVE them. And this newest one looks like it will be great too! 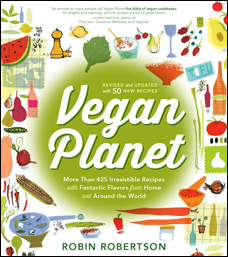 A friend recently gifted this to me, he`s been vegan for 20 some odd years, and I`ve recently fallen down the rabbit hole, and have been off meat products for 3 months, with dairy being close behind. We cook and bake a lot of vegan meals in our home because our friend visits regularly for dinner, so when I told him I had finally stopped eating meat entirely, he brought this to me. 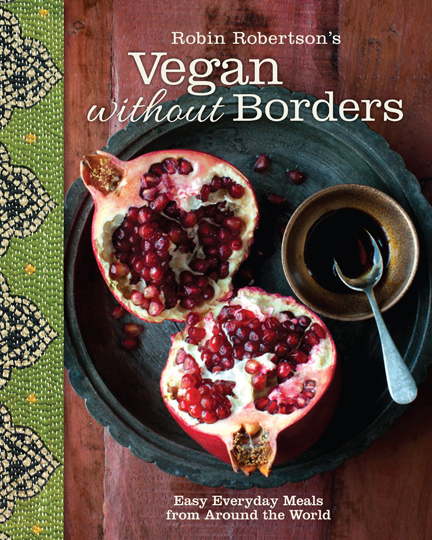 It`s a wonderful book, the pictures are beautiful, and the recipes are great. Made a batch of the haute dogs, and maple breakfast sausages last night to try, and are freezing to take camping this weekend – very delicious! Myself, my partner, and our friend were all very happy with the results, and are eager to take them camping to share with the group. My favourite thing about the book is that it is full of recipes to make things to put into other things – if that makes sense? As oppose to just a collection of meals, it has plenty of starting points to give you inspiration to create a meal on your own. Wonderful book Robin. Wonderful! 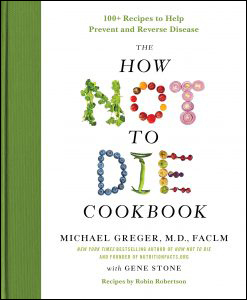 I also have the How not to die cookbook, and the monstrous tome, 1000 Vegan Recipes, which i refer to as ‘The Bible’. 😀 Thanks for all of your hard work and creativity! Thank you John. Your kind words mean a lot to me.